Institute for Girls Development | Friendship Stress? Friendship Tools! Celebrate the ways girls and women can work together to make a difference in the world. Social cruelty gets a lot of attention, at home, at school, and in the news. So much so that we sometimes neglect shining the light on girls taking positive action together – to stand up for something or someone, to complete a project, to cooperate as a team, or to make change in a community. 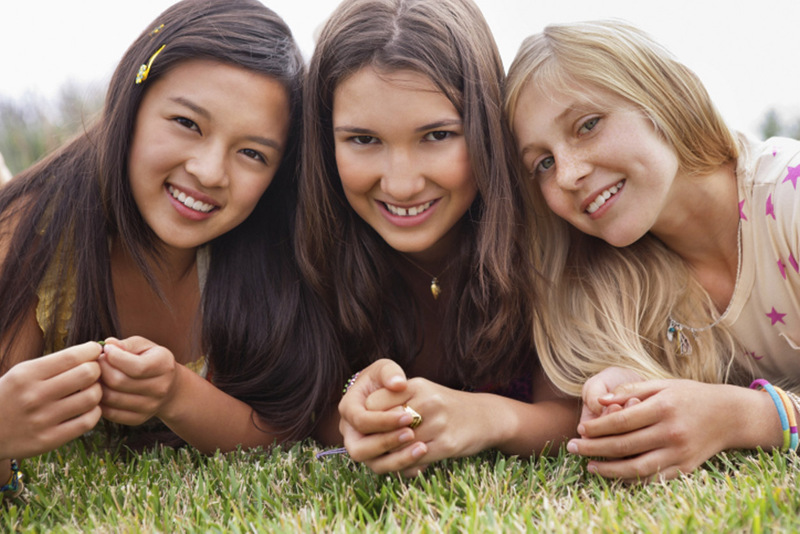 See what you and your family can notice about the upside of girls’ friendships. Be assertive! My favorite definition of assertiveness is educating others on how you want to be treated. This is a great skill for adults and teens alike. It’s a necessary tool for resolving conflicts and working out differences. Middle school girls will get to learn more about this skill in Be R.E.A.L. (Relationships: Extraordinary, Authentic, Loving) starting July 8. High school and college women will get to learn more about this skill in Push Back: Setting and Maintaining Your Verbal and Physical Boundaries on the evening of July 16. Be good to yourself! Help your daughter become aware of the things that help her feel better when times are rough. What are her healthy distractions? What soothes and calms her? Who can she reach out to; who are the people who love and believe in her? Role model this for her. When you’ve had a stressful day with colleagues or friends, do some good things for yourself – to calm your nervous system and remind yourself of your worth. Want to learn more? Want your daughter to learn more? Join us for Be R.E.A.L. (Relationships: Extraordinary, Authentic, Loving). It’s a jam packed week of fun, connecting and learning for middle school girls, with concurrent workshops for parents. Register now online. Starts Monday, July 8, 2013.